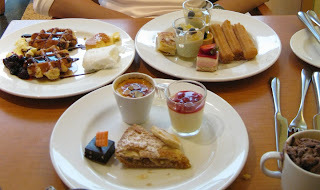 One weekend, we decided to try Mosaic's buffet brunch. As it was a really last minute thing, we had very little time to eat because they only served the buffet till 2.30pm. But even though we had less than an hour to take our time and enjoy the food and go for many many rounds, we still took a fair bit of food.